There really is a Fertile!!! Thanks everyone.....it sure felt good to be out with the camera again!!! Maybe it won't be so long next time! Super shot - I'll leave the comments for Stewart - would hate to cramp his style!!!! Great shot, Tracy. We have a Climax, NC and a Nosex, NC where the Children's Home is located. 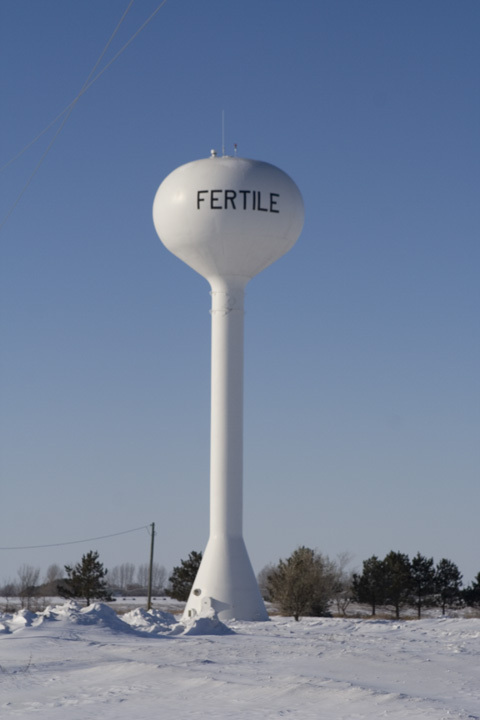 But your shot is just too funny, they would have a water tower for all to see with Fertile on it... I wonder if you drink the water there, you get pregnant. Oh MY GOD!!! That is funny Robin...thanks for the laugh!!! Subject: Re: There really is a Fertile!! !